It wasn't their prettiest performance of the season, but it sure was the Dallas Cowboys best win of 2018 as they came away 13-10 winners over the New Orleans Saints on Thursday Night Football. By design, the Cowboys made this game ugly to hold an offense averaging over 37 points a game to a season-low ten. In doing so, the Cowboys defense made their strongest statement of the season, making up for miscues on offense along the way to carry Dallas to their fourth straight win. The Cowboys needed a performance like this to prove they're not the same team that sat "hopeless" at 3-5 four weeks ago. 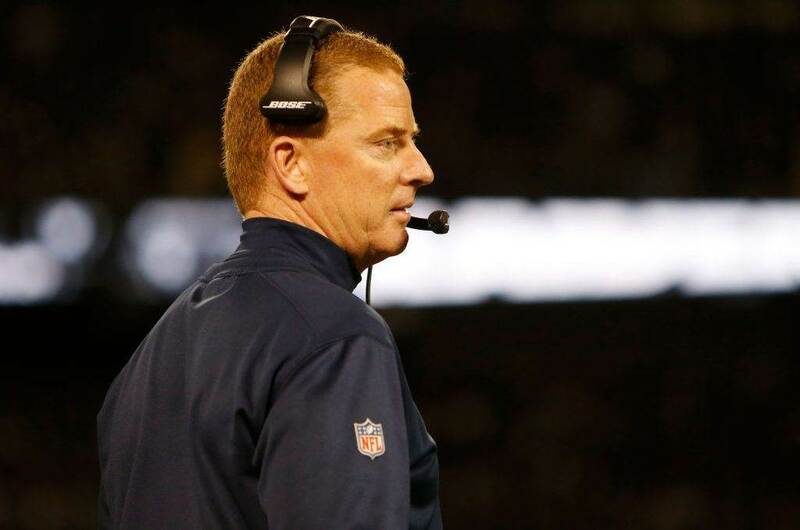 Simply reshuffling the coaching staff and adding Amari Cooper wasn't enough, as the Cowboys entered this season expecting to contend in the NFC East, and now find themselves in first place after ending the Saints' ten game win streak. Much will be made about where the Cowboys can go from here. Two divisional games remain against the Eagles next week and Giants on the road to end the regular season. For now, here are my first impressions of the Cowboys win on Thursday. Dak Prescott's execution against the blitz on the Cowboys first drive was one of his best plays of the night. 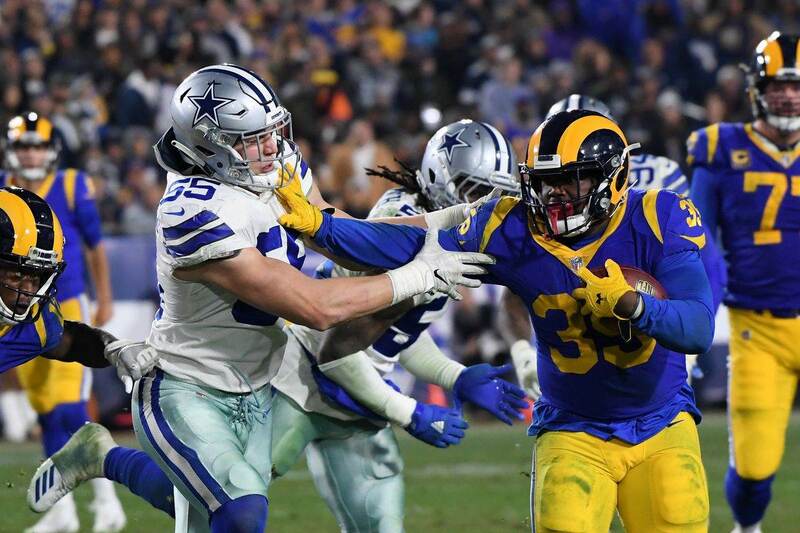 The Cowboys settling for just three points on this promising drive was not the start they were hoping for, but did set the tone for the type of night the defense would need to have. On third and eight, the Saints were smart to send a blitz from the left side, where Left Tackle Cam Fleming started over Tyron Smith for the second week in a row. Prescott stood in and waited for Michael Gallup to separate on the sideline. Two plays later, he delivered a perfect ball to Gallup again for 40 yards. It was Left Guard Xavier Su'a-Filo that was beat for a third down sack that forced a Brett Maher field goal, as the Cowboys fill-in for Connor Williams played his worst game of the season. In total, Prescott was sacked seven times, two of which were allowed on third down by Su'a-Filo. Su'a-Filo struggled against the quickness of the Saints defensive interior, and allowed his technique to break down entirely when beat. Following the Saints only touchdown of the game, Su'a-Filo had a costly holding penalty that brought the Cowboys offense off the field quickly and gave the Saints their best chance to tie or take the lead. As was the case all night, Kris Richard's defense responded with a stop, overcoming a turnover negated by penalty to bring up a Saints punt. The Cowboys still have room to improve in the screen game to Ezekiel Elliott, but the timing on his receiving touchdown was perfect. Yet another backup offensive lineman, Center Joe Looney, was the reason this play sprung for the Cowboys only touchdown. Looney had been struggling to get to the second level and sustain blocks, which the Cowboys used to their advantage on the screen. Once Looney released up the field, the Saints were not expecting his pin back on the quick pass to the outside. This block cleared a path for the patient Elliott to accelerate and beat the pursuing defense to the end zone. To nobody's surprise, Zack Martin also landed a key block on this play. His ability to reach a new level of play alongside Looney at center has been enormous for the Cowboys offense. Another fine example of the Cowboys defense picking up the offense in a big way came on Jaylon Smith's third and goal stop following Amari Cooper's fumble. Cooper's turnover set the Saints up in Dallas territory trailing by ten. 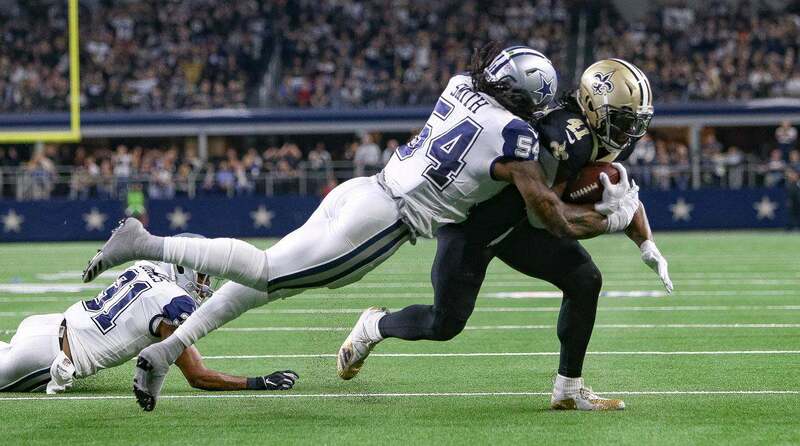 The play that will be remembered on this drive was the fourth down stand that kept the Saints scoreless, but it wouldn't have been possible if not for a great play by Jaylon Smith on third down. Smith was in coverage on the play, roaming all the way to the left hash and angling inside before exploding back out and stopping Alvin Kamara on the sideline. 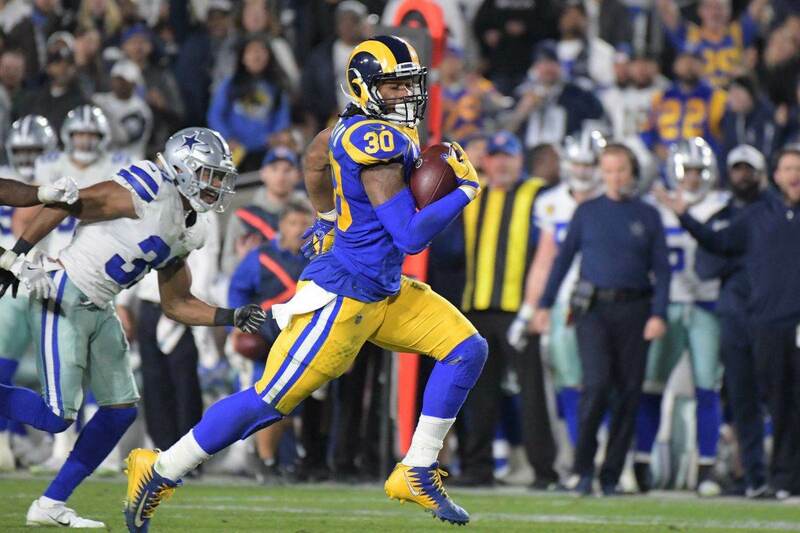 The outstanding effort was reminiscent of his play at the end of the half in Houston, when Smith ran down Deshaun Watson short of the goal line. Smith proved throughout the night why he's the perfect complement to rookie Linebacker Leighton Vander Esch. Both young defenders play with ideal range and instincts. Where Vander Esch diagnoses plays carefully before arriving on time to make seemingly every tackle, Smith is the enforcer that finishes plays with big hits and timely stops at full speed. Coming into this game, I challenged Vander Esch to prove his value as the Cowboys starting WILL, and warned that even a sub-par performance shouldn't change the Cowboys plan for handling Sean Lee's return. After holding the Saints to a season low in first downs and total yards, Vander Esch once again exceeded expectations in spectacular fashion. There's no reason he and Smith shouldn't be the guys at linebacker for Dallas through the rest of this season, and a long while after that. Randy Gregory's night will be remembered by two costly penalties, but I thought he did what was needed against Saints backup Left Tackle Jermon Bushrod to affect Drew Brees throughout the night. Gregory's roughing the kicker call turned a Saints punt into a touchdown drive, and later a Cowboys fumble into a five yard gain for the Saints as he lined up offside. When he was able to rush the passer, Gregory along with the rest of the Hot Boyz did a great job. I can't remember watching Drew Brees feel less comfortable in the pocket throughout a game, especially this season. Brees threw off his back foot a number of times, including on his game ending interception to Jourdan Lewis. The Cowboys edge rushers aren't the only ones that deserve credit here, as their defensive tackles pushed the pocket consistently as well. Playing without David Irving again, Maliek Collins stepped up at the 3T while Antwaun Woods flashed as both a run stopper and pass rusher. It was Collins in the face of Brees as he turned the ball over to Lewis - his first interception of the season. Previously, Lewis had struggled to make an impact in limited snaps, but did everything possible to earn a larger role in this game. Very quietly, Tyrone Crawford has also put together a strong season as he's been able to rush from the inside. This depth at defensive tackle has been crucial for the Cowboys in keeping their linebackers clean and allowing DeMarcus Lawrence to beat single blocks. It was a difference maker again on Thursday night against the top offense in the NFL. When the Cowboys went on the road to the defending Super Bowl champion Eagles in week ten, their season was on the line. Not only did the Cowboys earn their first win away from AT&T Stadium that night, but they ignited this current four game win streak that now carries into a home meeting with the Eagles. The Cowboys will have ten days to prepare for an Eagles team that doesn't play until Monday night. All signs points towards Dallas continuing this incredible in-season turnaround and taking advantage of a down year for the rest of the NFC East. The Cowboys win against the Saints was about remembering just how close this team was to having a down year themselves, now firmly in the picture of NFC playoff contenders behind an elite defense and run game. Tell us what you think about "Sean’s Scout: Cowboys Defense Outmatches Saints in Upset Win" in the comments below. You can also email me at Sean.Martin@InsideTheStar.com, or Tweet to me at @SeanMartinNFL! Would Cowboys Trade Joe Looney if the Saints Came Calling?